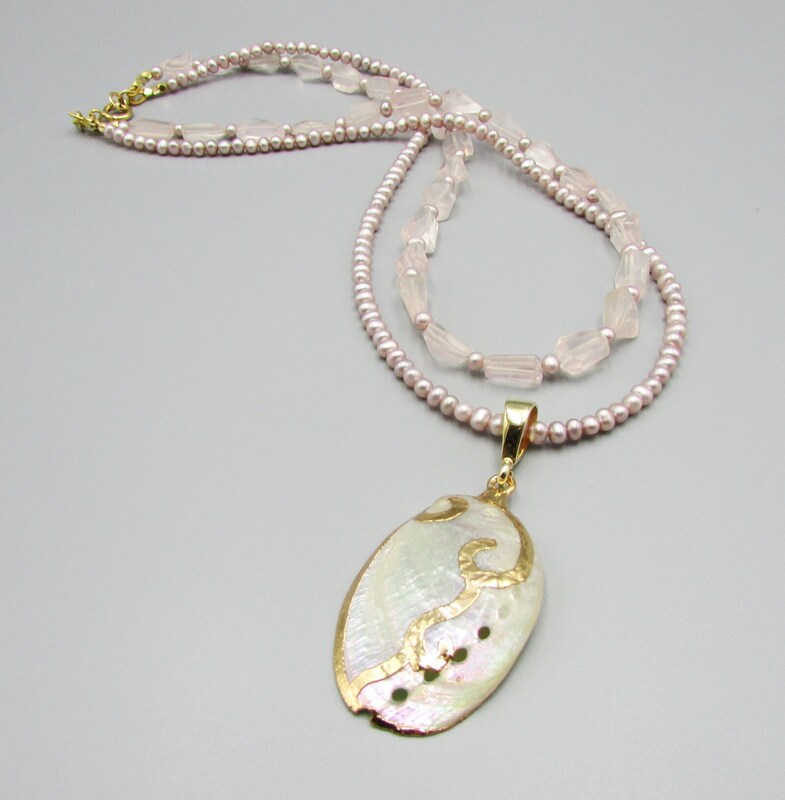 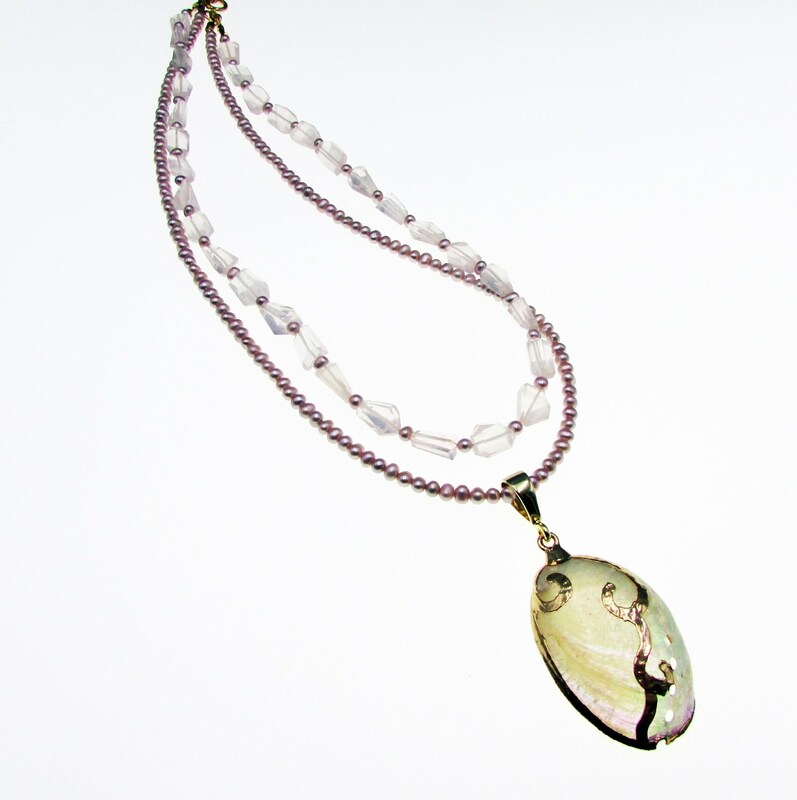 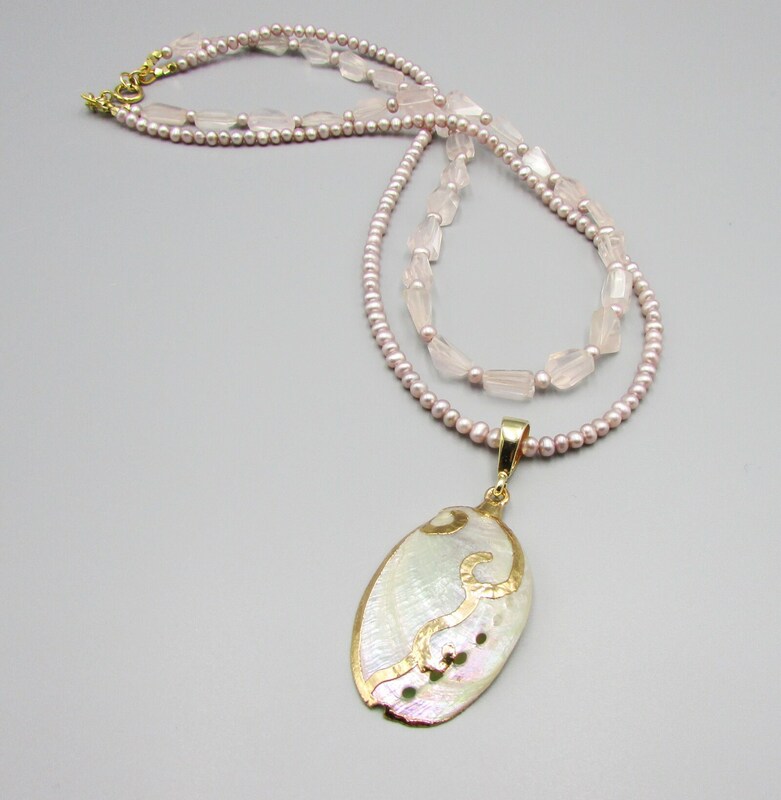 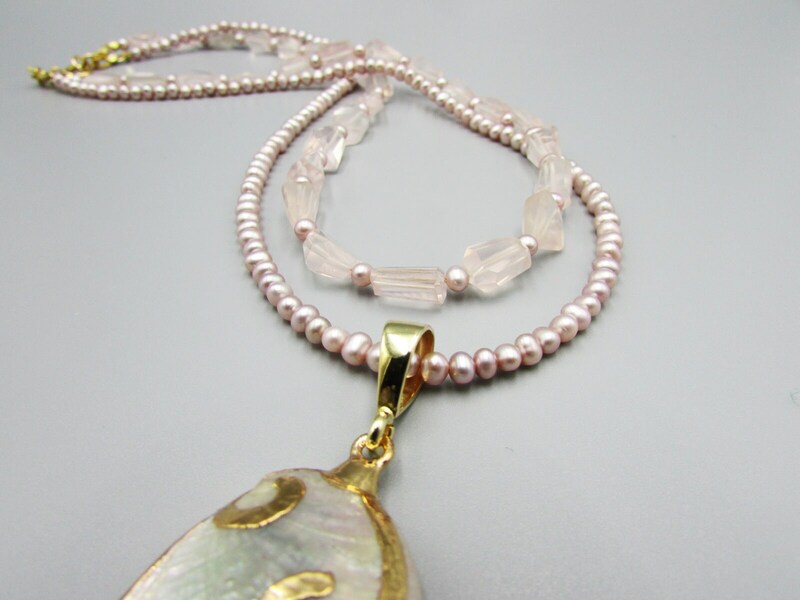 This stunning rose quartz, seed pearls and seashell pendant necklace was created with 3-4 mm AAA lilac seed pearls, rose quartz faceted cut small nuggets and a lovely gold gilded seashell pendant. 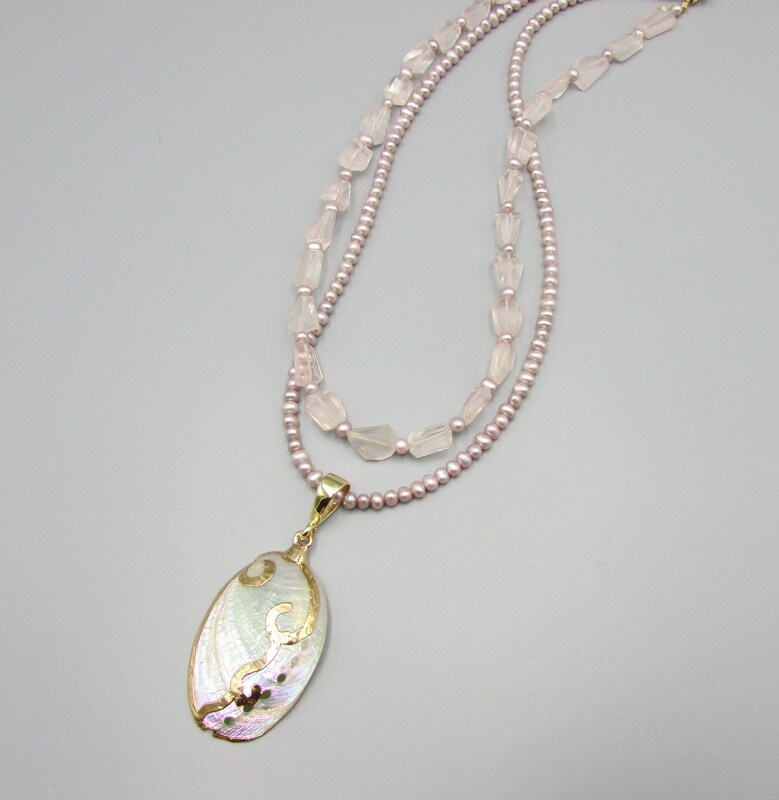 The pendant has a lovely pink shimmer and is placed on a vermeil gold bail. 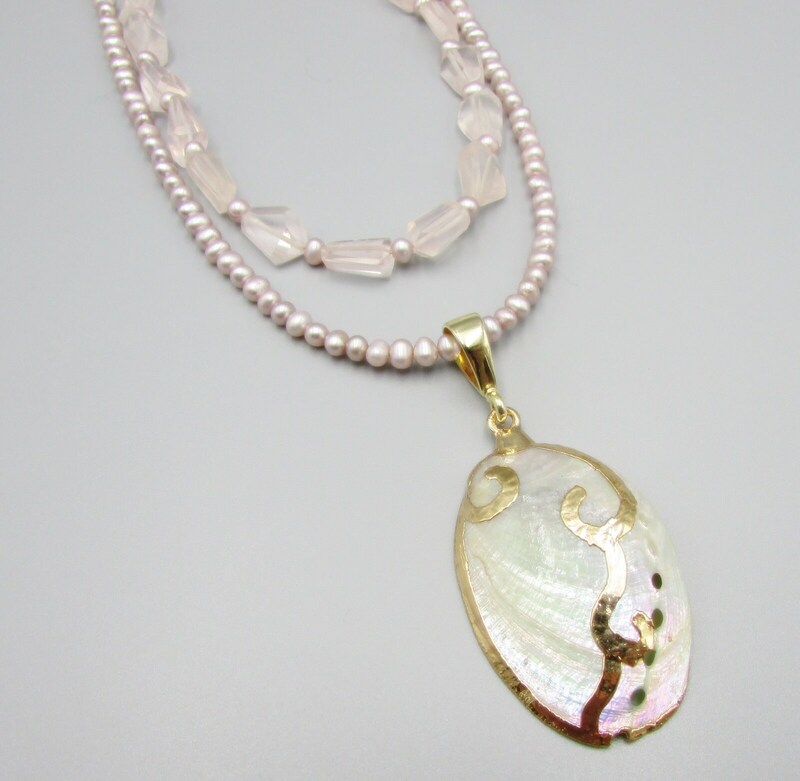 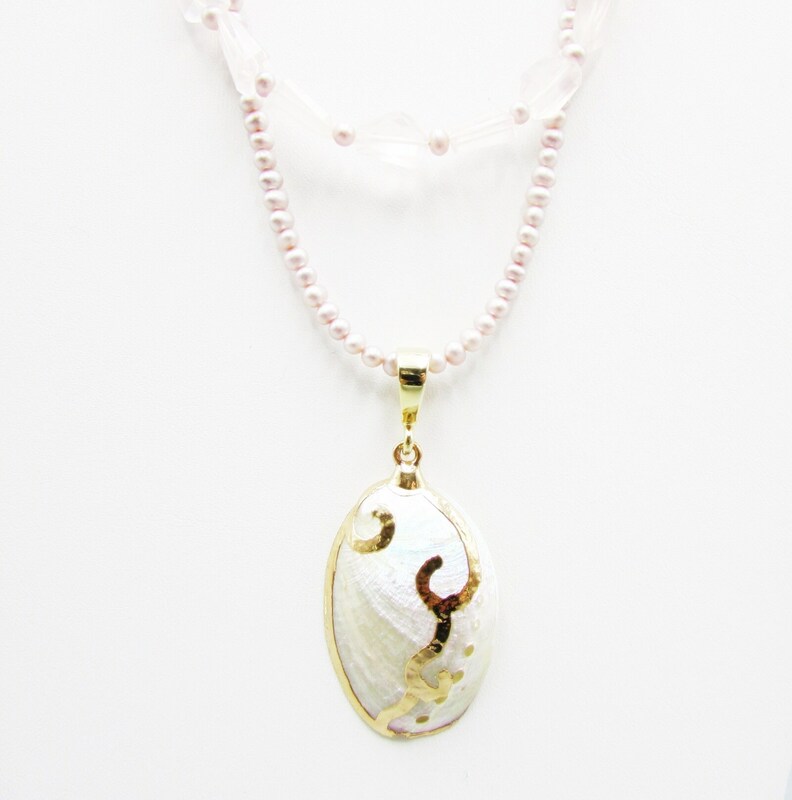 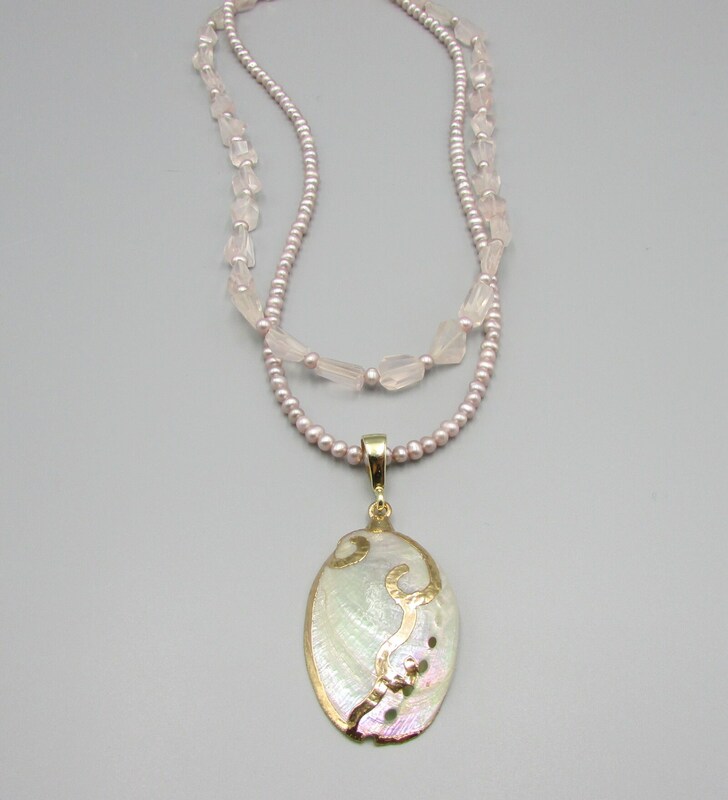 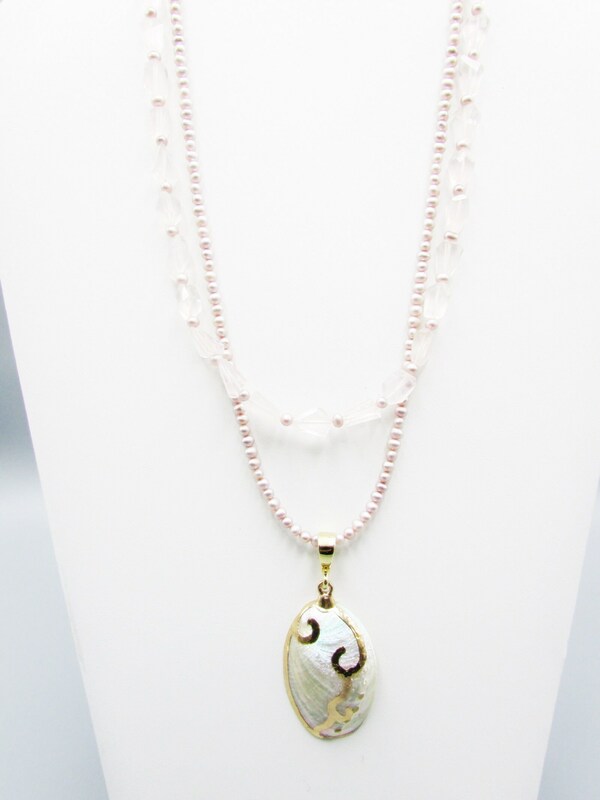 The length is 18" and the pearls drape at 19 inches, the pendant is 1 3/4 inches long. 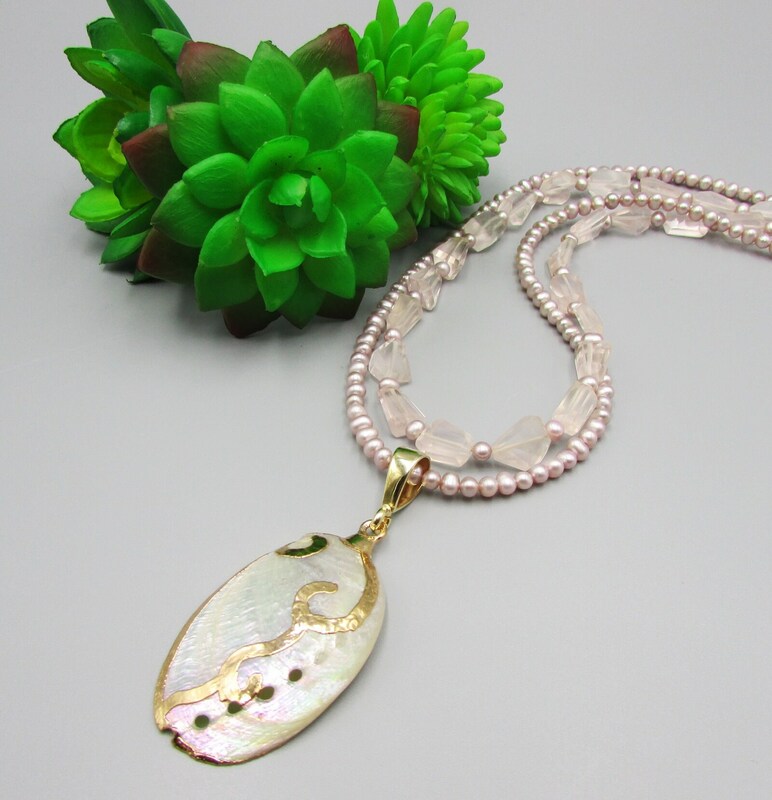 Simple, elegant and perfect for everyday, bridesmaid gift or that special occasion.